NIGER DELTA AVENGERS: AN INSULT TO THE LEGACY OF SUPERHEROES! and Joe Shuster, the teenagers who dreamed up Superman; Bob Kane (and Bill Finger) who created Batman. And then, there was one more name: a name which would eventually become a staple in conversations in my home in the years ahead- Stan Lee; the man who created Spiderman, and who also created an elite group of Superheroes known as "The Avengers". And it was at that point that the story began to change for me. You see, as I got older, even though I wasn't still a fan of cartoons, I came to love the big-screen adaptations of these Avengers characters; especially seeing as the actors who played the roles, were people I have always admired. I mean, I could easily throw away my brothers' Marvel or DC comic books, and run into my mum's room whenever they tuned the TV to the green Incredible Hulk cartoon; but I couldn't resist seeing Chris Hemsworth as Thor, Robert Downey Junior as Iron Man, Mark Ruffalo as The Hulk, Chris Evans as Captain America, and Scarlett Johansson as Black Widow. For all intents and purposes, I had fallen in love with Stan Lee's Avengers, and what they stood for. Beyond being just fictional characters, to me, they were the real deal. They were the ones to whom Earth's Central Government turned to, when humanity was in peril. As so, as the semi-fanatic that I had become, I was generally quite curious when the name, Avengers, started to creep up from a rather unlikely location- the creeks of the Niger Delta! If you live anywhere in Nigeria, you've probably heard about the group called the 'Niger Delta Avengers'. They have no Thor, Hulk, Captain America, Iron Man or Black Widow; but what they do have, are a bunch of individuals who employ clandestine methods and undertake dare-devil tactics to sabotage oil installations in the creeks. No one knows the true genesis of this group; but I do know for sure that they were not created by Stan Lee, or put together for their mission by the Federal Government! They claim to be sons of the motherland, fighting for the sovereignty of the Niger Delta; and have waged war against the Government and Oil Companies. Recently, as the Federal Government deployed gunboats, fighter planes, and a large contingent of troops into the creeks to weed out these militants, they managed to pull off a mind-blowing feat- bombing two Chevron oil wells which were supposedly guarded by the military! Amazing! As the back-and-forth went on between the Army, the militants and the Federal Government; with allegations and counter-allegations, one was compelled to take a critical look at what the grievances are, on the part of these so-called Niger Delta Avengers. As it is with every insurgent group, there is an agenda. 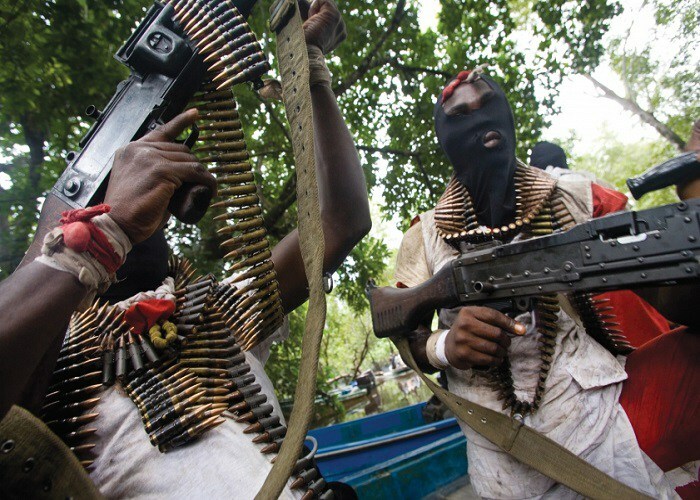 The Avengers claim to be fighting for the soul of the Niger Delta. They lament about what they see as a rip-off by the oil companies who siphon the wealth of the Niger Delta and give nothing back in return except the degradation of the environment and impoverishment of the locals; and they are also wary of the Governments' negligence of the region. Apart from oil, the Niger Delta in its natural state is a rich fishing region. But continuous oil spills have killed most of the regions' aquatic life, taking away peoples' livelihoods, and even putting their health's in jeopardy. As a proud indigene of the Niger Delta myself, I can understand these grievances. It should be noted that prior to the emergence of this particular militant group, there were others which came before; led by men like Asari Dokubu, Tompolo, Boyloaf, amongst others. They also bombed pipelines and instilled fear in the hearts of the oil company workers, until the Presidency of the late Umaru Yar'Adua created the Amnesty Programme which integrated them into society, taught them skills and paid them wages in exchange for getting them to lay down their arms. But those days seem long gone now. Today, Nigeria is led by a different President. And today, he faces a more ferocious militant group in the creeks. The Niger Delta Militants have singlehandedly depleted Nigeria's crude oil production from 2million barrels per day to about 800,000 barrels per day, with a further promise to drop it to zero. Their acts of sabotage have also drastically reduced electricity output; ensuring that it dropped to an all-time low of 650mw this week! Pipelines have been repaired by the oil companies, only to be destroyed again by the militants. The President must be exasperated! Now, even though I can understand the grievances of these militants, I must say that there is no justification for their actions. Is it not ironical that the same group which points accusing fingers at the oil companies for polluting the environment; is doing the exact same thing? I mean, for every pipeline blown-up, there is massive oil spill which further degrades the eco-system. The people of the Niger Delta will only get sicker. The militants, by their actions, have compelled the Government to send in troops to the Niger Delta; and the ones now suffering are the children, women, old people, who have run into the bushes to escape the military's onslaught. These are the same people the militants claim to be fighting for! Oil is still the mainstay of the Nigerian economy at this point, accounting for 70percent of our revenue; and the destruction of numerous pipelines has put a serious dent in Nigeria's crude oil export abilities. The entire nation suffers for this! One is tempted to ask: is this really a freedom struggle, or a VENDETTA against one man- President Buhari? But if these Niger Delta Avengers would pause to think for a moment: the Presidency alone is not the problem, even though the institution of the Presidency is not absolved from blame. Each state of the Federation is represented at the National Assembly by elected officials. I dare to ask: What laws have the Niger Delta lawmakers put in place to make life better for their constituents? What about the Governors? The last time I checked, Ibori is still locked up in a UK prison for financial crimes- illegal wealth amassed from his state's coffers. You see, there is a cycle which can only be broken if tackled constructively. Look past the fact that the Niger Delta man was voted out of office; and the Fulani man took his place. Go to your Senators, Reps., Governors, and say to them, what are you doing with the mandate we gave you? "� Because the truth is, no matter what other course of action you take, you can never erase the fact that the leaders of the Niger Delta have themselves, by their dubious and selfish actions, aided and abetted the pilfering of the wealth of the region! Sit at the table with the Federal Government when you are invited for negotiations, and state your demands. Tell the oil companies, This is what we give you, and this is what we should get in return. Champion effective and orderly grassroots campaigns to increase and sustain awareness to your plight. Stop bombing the pipelines: it is our collective wealth! Our country is in danger; and we need Superheroes. But Avengers who destroy pipelines are an insult to the bravery, courage, ingenuity, and selflessness of the Marvel characters who show us what can be achieved for good with superhuman strength; and whose name they bear! I say to the Niger Delta Avengers, what would 'Thor' do? Sure, he gets angry at 'Loki' frequently- and for good reason- but would he destroy 'Asgard' to prove a point? Think about it!